Petersburg continues to prepare for the celebration of the 315th anniversary of the city and the SPIEF. Streets of the Northern capital are actively decorated with flowers and compositions. 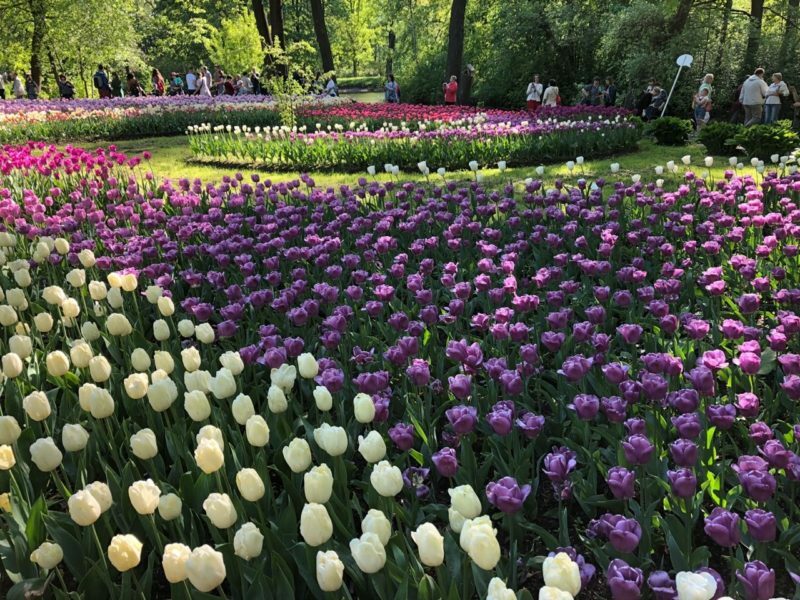 More than 100,000 roses and bushes have been planted in St. Petersburg, 500,000 "viol", 400,000 tulips and about two million flying. Compositions appeared first of all along the roads, along which the participants and guests of the forum will travel. A special emphasis is placed on vertical landscaping - more spectacular and bright. The number of ampel, that is, beautifully flowing, plants is increased three times this year - 360,000 of these flowers have taken places in pots on lighting supports and fences. On this the decoration of the city does not end. Gardeners work daily from 7:00 until late. To conduct the World Cup 2018 in St. Petersburg planted only about eight million colors.